1. To inform scholarship and practice in mutually beneficial ways. 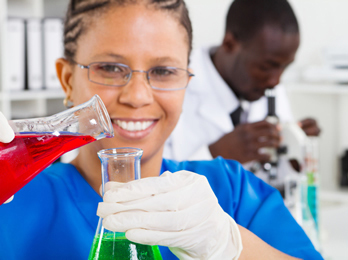 Scholars approach STEM education as a research problem to be analyzed. Their labor results in new insights into teaching, learning, and training. Program Directors prepare students at all degree levels for careers in the STEM workforce. Their production of new human resources requires research-based approaches that imbue graduates with skills and knowledge that enrich science-intensive organizations. The needs of scholarship and practice must be served in an ongoing way. 2. To develop and enhance the community that understands and utilizes the results of educational interventions. UI is a movement, a site, and an avenue for: (a) disseminating emerging knowledge of intervention efforts in the classroom and beyond, and (b) convening STEM practitioners from all sectors, disciplines, and institutional types to not only exchange information, but also to form collaborations that yield more effective and enduring interventions. 3. To provide training and professional development for all STEM personnel. Such direct intervention with students and faculty centers on enhancing individual skills and advancement, improving organizational practice and performance, and broadening participation by those facing disadvantage, bias, or otherwise arrested opportunity. In this way, UI is dedicated to increasing the number and diversity of contributors to STEM. Nearly a decade ago, the National Institute for General Medical Sciences funded the National Research Council to organize a workshop on “Understanding Interventions That Encourage Minorities to Pursue Research Careers.” Little did NIGMS know then that the response would ignite a peer community that has become a recognizable brand. This community of training program directors in various disciplines, social and behavioral science researchers, and project/program evaluators has created a niche for activities that disciplines honor in word but not always in deed. UI activities center on practices that are research-based and tested to change student outcomes. To intervene is to insert one thing between others, to interrupt so as to influence what happens. Interventions occur in law, medicine, and closest to UI’s concerns, education. But intervening alone is not the UI mission. Rather, understanding why the intervention had the effect observed requires a different set of skills anchored in research, design, analysis, and interpretation. This is what the UI community has wrought: a multidisciplinary cadre of specialists focused on the many facets of participation. Today we are collectively wiser about who participates in what. It is not only minorities, but women and persons with disabilities, who are prepared at rates that lag those of men for careers in science—not just its research path and not just science, but technology, engineering, and mathematics. What deters participation in some parts of STEM prevails in others. Translating insights for those responsible for inducting students into a discipline with the skills and moxie to build a career and contribute in a variety of ways to a greater good is the mission of UI. Our goal is not to make every member of the community a social scientist or immersed in a technical literature. Rather, UI seeks to develop strategies and offer tools that aid practitioners in serving students and accumulating knowledge. Only by making this knowledge accessible and usable can the UI mission be realized. Given that UI members are in varying stages of developing “interventions intelligence,” their needs also vary. They will find some UI tools more helpful than others. Therefore the UI portal features different content for different needs, and multiple ways to access it. The conference is an annual face-to-face event that travels to different regions of the U.S. Its report is a plain-language compilation of themes and issues summarized for those who did not attend but wish to pursue an issue or a presenter for guidance and/or collaboration. Links to the registration, housing, and abstract submission forms can be found there. The UI Index, launched in 2015, is an interactive database that extends to the origins of UI that can be searched in several ways. Its contents will continue to expand. To provide feedback on anything UI, you are invited to register for the UI Blog. Other innovations are in the works as well, but the UI niche has been carved. We hope you find the resources at this portal worth returning to, and that you consider joining us as an active contributor to Understanding Interventions.